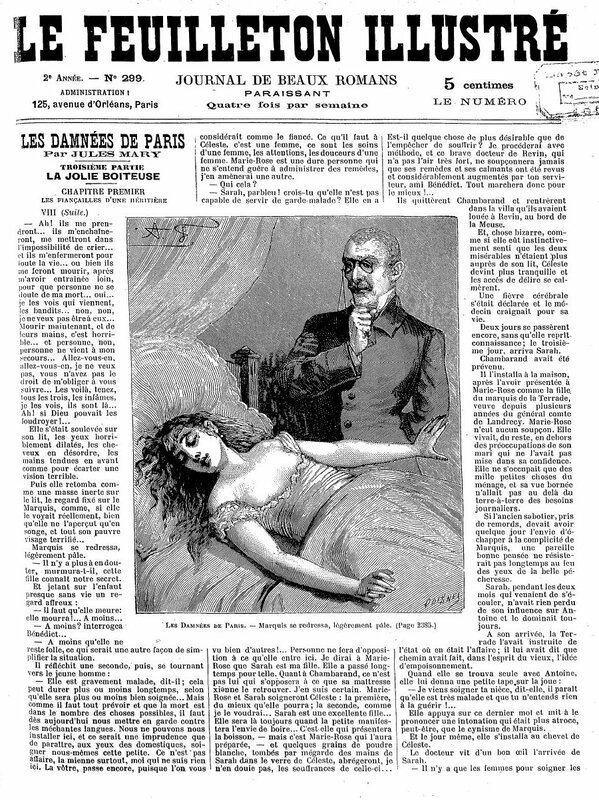 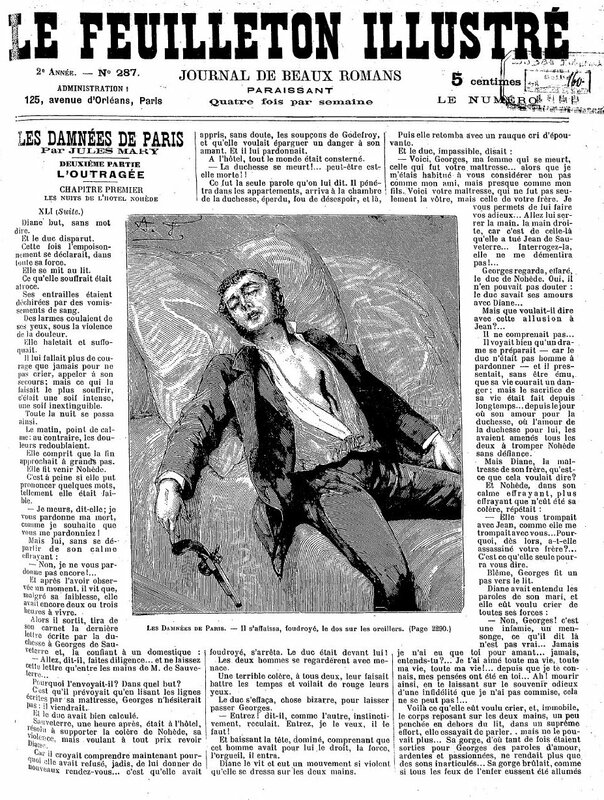 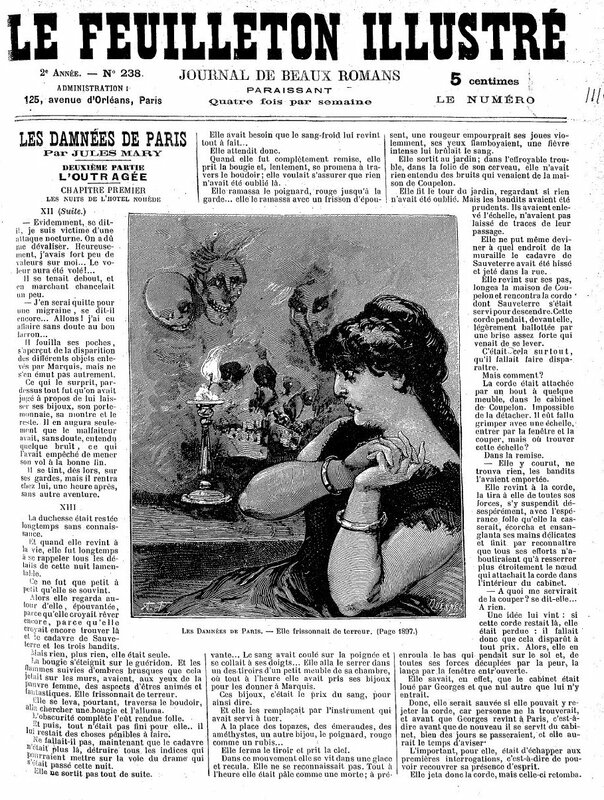 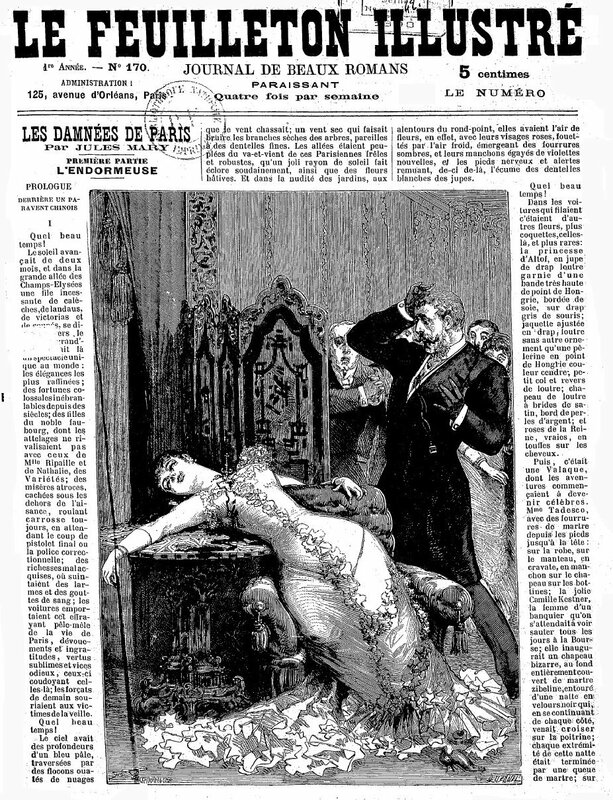 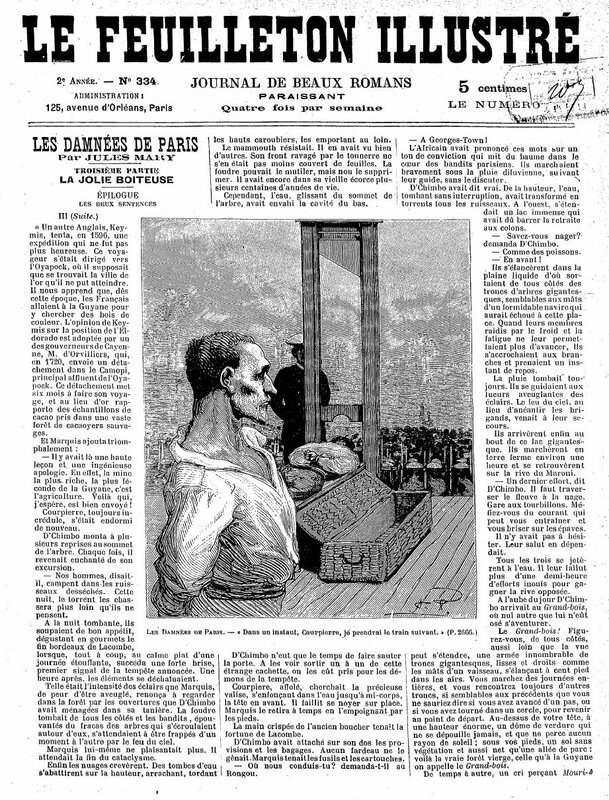 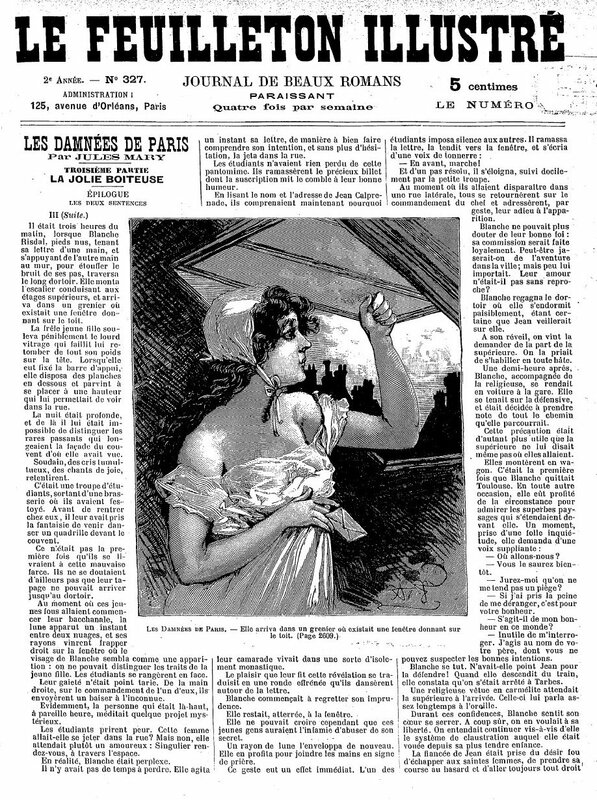 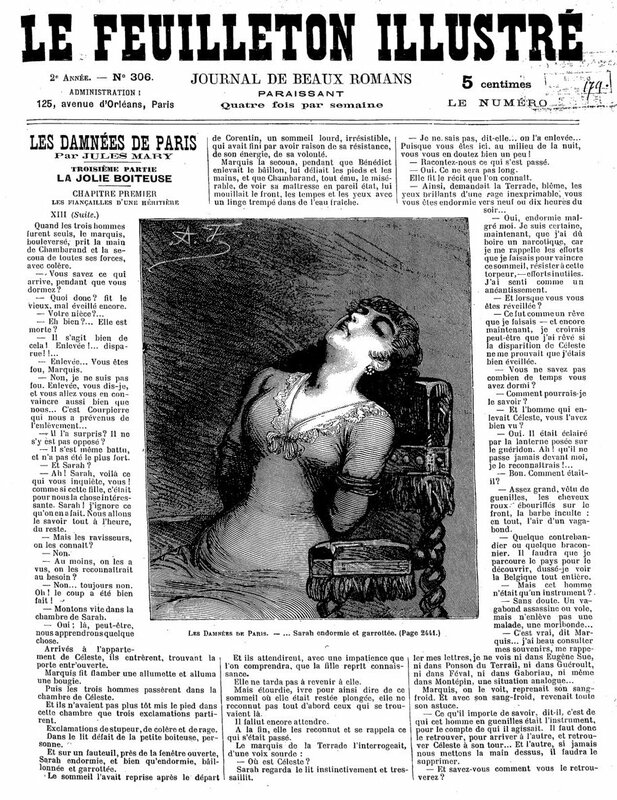 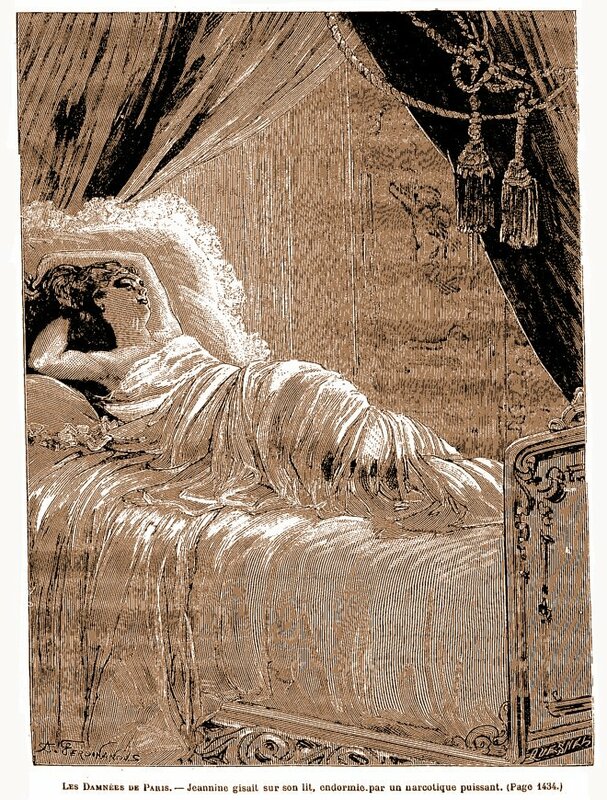 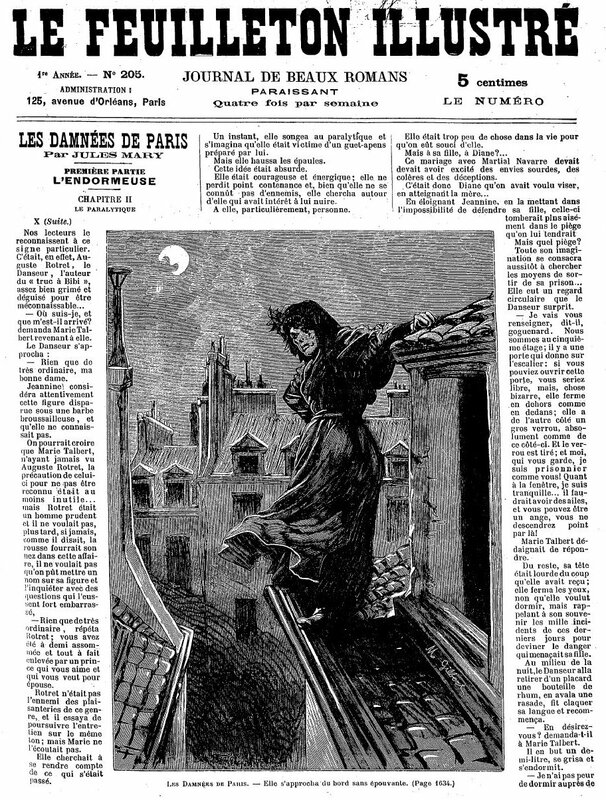 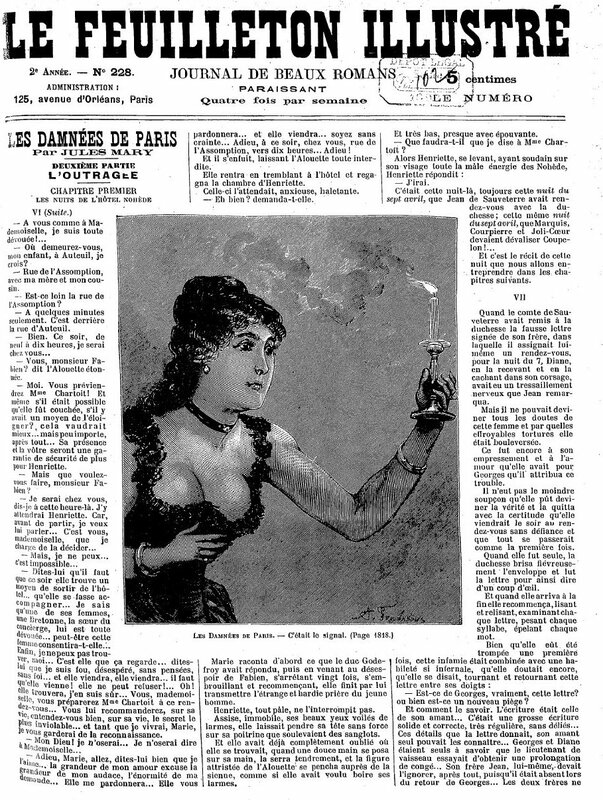 Les Damnées de Paris by Jules Mary (1851-1922) was serialized in Le Feuilleton Illustré in 1898. 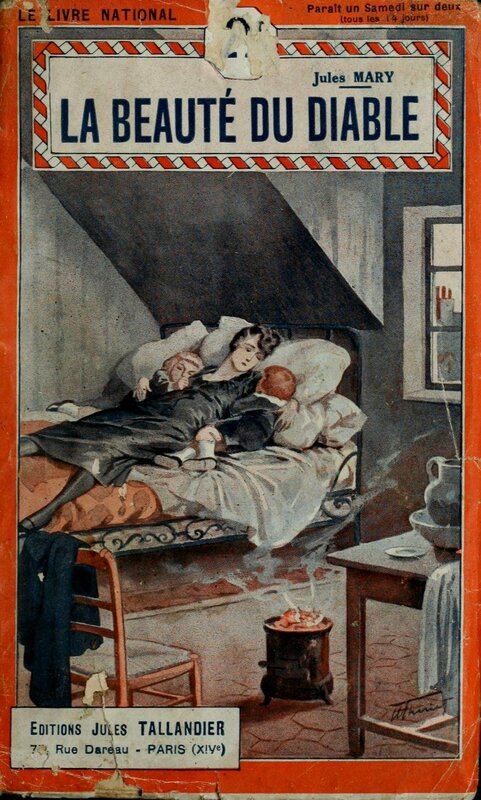 The striking illustrations are odd. 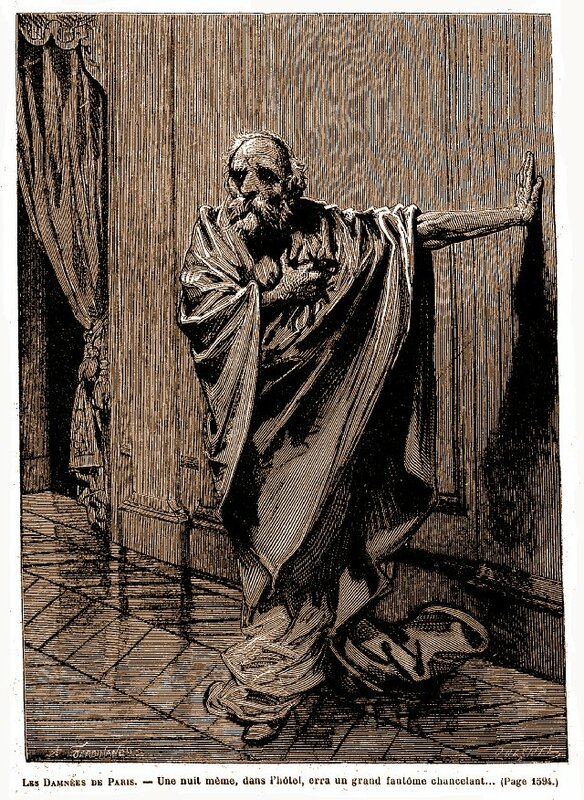 They seem to be engravings during a time when pen and ink was easier to work with and easily reproducible. 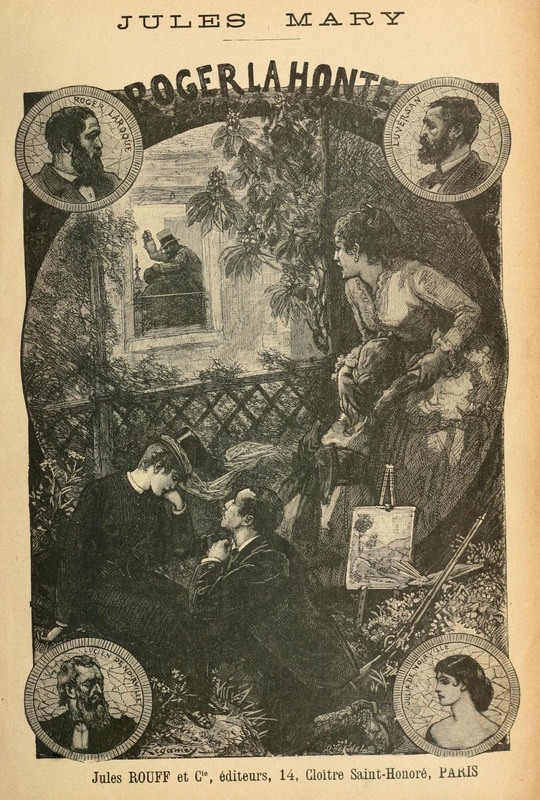 Mary’s feuilletons were popular in America as well, appearing in newspaper serials from the 1880’s to the 1920’s. 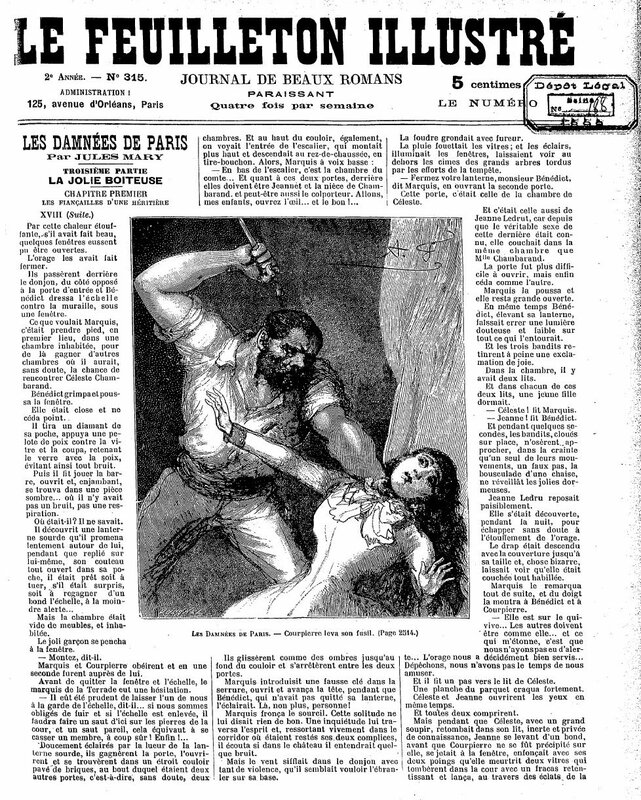 You can browse 166 issues HERE.